I was always wondering why chicken breeders do not have this problem of diseases in their birds and even though they keep a really big number in a small cage or area. The reason I thought about it is because I used to breed birds when I was at high school, but when one of my birds coughs a disease, such as diarrhea, all the other birds in the same cage get the disease and either die or become very sick, which is not just painful for me to watch them die but is also too costly for me. I came to understand why these business owners do not suffer big losses when I learned in class about vaccination and got a deeper understanding of vaccination around the world. However, I was able to link to my aviculture business only when Andrew discussed in class how chicken industries vaccinate chickens to prevent diseases from spreading and causing chickens to die. I also used to hear that almost all rabbit breeders vaccinate their rabbits, but I never paid a lot of attention on it. In fact, I did not really care about how important vaccinating was and did not even care if any of the animals that I would buy are vaccinated until I heard from Andrew about the chicken farm he visited to do his research. I then realized how important vaccination is and how useful it is for aviculture businesses and how it could help think of it from both a business and perspective and a science perspective. when I was at high school, I managed an aviculture business. The birds I was breeding are called Zebra Finches. They are known to their tendency live in big groups in their original habitant. 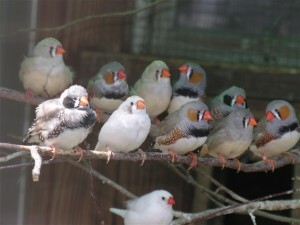 In addition, many bird breeders prefer to put a group (4-50)of them in one cage. When I first bought these birds I put them in one cage, but because of the spreadable diseases that came to many of my friends birds and because of the recommendations my friends had given me, I later decided to put each pair of birds in a separate cage, which, by the way, is very costly and takes a lot time and effort to feed them and clean each cage. But now that I have a better understanding of vaccination, I decided to a research into this topic and look for studies that suggest vaccinating bird, as If I discovered that vaccinating is “proved” to be very efficient in aviculture, I will change my breeding method from keeping each pair in a cage to just one big cage for all birds of a single species, which as I mentioned earlier will help me take care of them in a more efficient way and also prevent diseases from spreading. It will also make the birds feel that they are in their original nature. While I was researching, I read an article that talks about the potential negative effects of using the current chicken vaccine. I was surprised to know that not only the article talked about the same topic that Andrew discussed in class, but the article has also included quotes from Andrew. The article was mainly talking about the effects of the current vaccines that are used to deal with some of chickens’ popular diseases such as Marek’s disease. The article mentioned that in a study done by Andrew and his group, where they studied the effects in Marek’s disease on vaccinated and unvaccinated chickens, they noticed that the unvaccinated birds died after 10 days of getting the disease. The article concluded with a quote from Andrew that said that even though vaccines could have negative effects such as causing viruses to evolve and be able to fight the vaccine, breeders should still vaccinate their birds because of the fact that the chance of an unvaccinated chicken dying from a disease like Marek’s disease is much higher than if we chose to vaccinate all chickens and that we should still vaccinate chickens because they are considered an important role in the food industry. However, this conclusion does not necessarily mean that it is the same thing with other birds, as the article has mainly discussed Marek’s disease effects on chicken, which I later learned that is not popular with birds such as Zebra Finches. So, I decided to do more research into this topic to decide if I should or should not vaccinate my birds. After an hour of research, I found out that there any many fast-spreading diseases among Finches species and that the diseases that I should worry about do not have vaccines to “cure” them. The only vaccine that many articles recommended Zebra Finch breeders to use is a vaccine called Polyomavirus Vaccine. I did not know about this disease. However, I have just discovered that the symptoms associated with this disease were almost the same that I noticed in my birds when almost 20 of them died in two to three months. I did not know what the disease was. I also could not find a cure for it even though I kept asking many professional breeders about it. But now that I read about it and know that there is a vaccine for it, I decided to vaccine all my birds when I go back home in order to prevent the disease from spreading and killing my and friends’ birds. This entry was posted in Uncategorized on December 4, 2016 by Asaad Saleh Salim Al Busaidi. Does carrot improve your vision? A lot of you may have heard many times from your parents that carrot can improve your eyesight. When I was young, I sometimes refused to eat carrot, and in order to encourage me to eat carrot, my parents used to tell me that carrot will improve my eyesight. I did not question if this correlation (eating carrots leads to a better eyesight) is true when I was young, but now because I learned that I need to be more skeptical and question any causation relationships that we think are true, especially those that are with no science behind them. Furthermore, now that I have a better understanding on how correlations like these can be false even if they a big number of people acknowledge it, I decided to do a research about the causation (eating carrots improves vision). 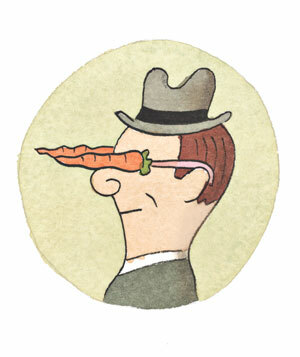 Null Hypothesis: Carrots do not improve eyesight. Alternative Hypothesis: Carrots do improve eyesight. According to an article in American Scientific website, carrots have a component called beta-carotene that is very useful for your eyesight. When you eat carrot, your body processes the beta-carotene in the carrot and use it to make vitamin A, which, the article claims, is proven to help your “eye convert light into a signal that can be transmitted to the brain,” which helps you see at night, but when your body does not make enough vitamin A, your vision eyesight becomes weak and will not be able to see at night. The article mentions that a randomized control study in 2005 was done to test what is the best amount of carrots to eat to have maintain a good eyesight and whether or not carrot is the best way to improve eyesight. The study gave its participants 4.5 ounces of cooked carrots each day and for six days a week. The study has also used other food that had vitamin A components and used vitamin A supplement in the experiment. The study results found that female participants eyesight has improved to the normal level. The study has also noticed that vitamin A supplements did a better job than carrots in improving these women eyesight to the normal level. while it is true that a randomized control study provides strong evidence, the study did not mention many detail such as the results of the study when done on males nor did it mention the number of participants in the study. The study also did not mention if there were any soft points measured so that we know if the study could suffer from the Texas Shooter Problem. And in order to know if the results are correct we still need to do further research into the topic and also look for meta-analysis studies. In addition, a study done by researchers at the University of Helsinki has conducted an experiment on whether or not beta-carotene helps improve eyesight and if yes, what amount of beta-carotene the body needs to be able to process in order to improve the eyesight of people. The experiment results showed that 20 mg. of beta-carotene given on daily basis has improved the visual acuity of 1,200 males and has also reduced cataract formation. This study’s results are consistent with the alternative hypothesis and serve as strong evidence because of the big number of subjects being tested and also because it was a control trial (participants were given the same amount of beta-carotene). However, the study did not mention any other detail on how the experiment was done, for example, if it is a randomized double-blind placebo trial, number of participants, or what other variables were blocked out when doing the experiment. Furthermore, the study did not mention if the results were the same when it tested females, which suggests that the study results may suffer from the File Drawer Problem. However, it is highly unlikely that the results will differ when the experiment is done on females because there is no evidence or mechanism that says that women have a different eyesight system or that the results were due to chance or due to third variables because of the large number of people tested and the other meta-analysis studies that showed similar results. Additionally, the study does not seem to suffer from the Texas Shooter Problem because the study has only studied few things. The article claims that giving vitamin A or beta-carotene to people in countries, such as Nepal or India where people suffer from vitamin A deficiencies has resulted in an improvement in their night vision, which some may argue that this could serve as an evidence for the hypothesis do improve eyesight. However, this improvement was only noticed in people who suffered from vitamin A deficiencies and has only helped them have normal vision and not a strong vision, which suggests that eating carrots could only help maintain a normal vision by providing you with vitamin A, but cannot improve your vision if your vision is normal. Another article suggests that eating carrots can improve your night vision only if you suffer from vitamin A deficiencies, but if your vision is already normal, then carrot or any other vitamin A sources will do nothing to your eye. Furthermore, eating a lot of carrot, can dangerous as an article claims that a lot of Vitamin A can be dangerous to your body if you are already eating a balanced diet. Additionally, an article written by By Karl S. Kruszelnicki claims that the “myth” that carrots improve eyesight came from a rumor that was invented by the UK Royal Air Force ( RAF) to mislead the public and other countries from the truth about their RAF pilots ability to fly at night. They attributed their ability to clearly see at night to eating lots of carrots. However, the RAF has actually wanted to hide their use of what was considered a new technology back then called radar. However, this was discovered decades later, so the false truth about carrots ability to improve eyesight has spread all over the world and mane have believed it. This single anecdote shows how anecdotes are powerful in convincing big numbers of people without even having any science to prove if they were correct, false positive, or false negative. Another study in the 1990s that was also done in Australia studied the deteriorating night vision in older people who took a lot of vitamin A. the results of the study for the participants who claimed that they ate more carrots, showed no improvement in their eyesight, which is also consistent with the other studies results that stated that if your eyesight is normal, then eating a lot of carrots will not improve your them. While it is right that the study did not mention more detail on how the study was done, we will believe the results because of their consistency with other results from the other studies. Here is an article for ANOTHER meta-analysis studies that also say that carrot do help maintain eyesight, but do not improve them. The article talked about two experiments each studies thousands of people and suggest similar results to the other studies in the post, however, the article did not mention many detail on how the studies were done. Here is a video that gives a similar explanation to why carrots do not improve your eyesight. In addition, it is highly unlikely that these studies would have suffered from the Confirmation Bias problem, because of the big number of meta-analysis studies that were done and the strong evidence and mechanism suggested in the study. Not to mention that there could be more studies done on the hypothesis being tested and found out results that were consistent with the null hypothesis but did not publish them due to the File Drawer Problem. Bottom Line: Many studies have showed strong evidence that carrots do not improve eyesight or vision if your eyesight is normal; however, studies showed that carrots do help maintain your vision indirectly, due to the beta-carotene component, which helps your body produce more vitamin A to help you see at night. Additionally, the studies results could be due to chance or due to other third variables, but because of the many well-done meta-analysis studies done on the hypothesis, the results were most likely to be correct. This entry was posted in Uncategorized on November 26, 2016 by Asaad Saleh Salim Al Busaidi. Should you drink cold water while eating a meal? A lot of us may have heard that drinking water while you are eating can increase your weight. However, this has been confirmed by many studies to be untrue. One reason that some people believe drinking water while eating can increase weight is that it can fill up the stomach, which will cause the stomach to get bigger. However, many believe that this is not the case. Many studies have suggested that drinking water while or before eating can cause weight loss, according to this article, drinking water before or while eating can help satisfy our hunger and thus cause us to consume less food. However, the article I found did not mention If it is better to drink cold or warm water while eating to maximize benefits. So, I decided to do a research into this topic and look for any experiments that tested this hypothesis to know whether or not there is a difference in drinking either cold or warm water while eating. Alternative Hypothesis: Drinking cold water while eating is better than warm water for your body. Null Hypothesis: Drinking cold water while eating has the same effects on your body as when drinking warm water. According to an article in Collective Evolution, drinking water while eating can be helpful in speeding up your metabolism. 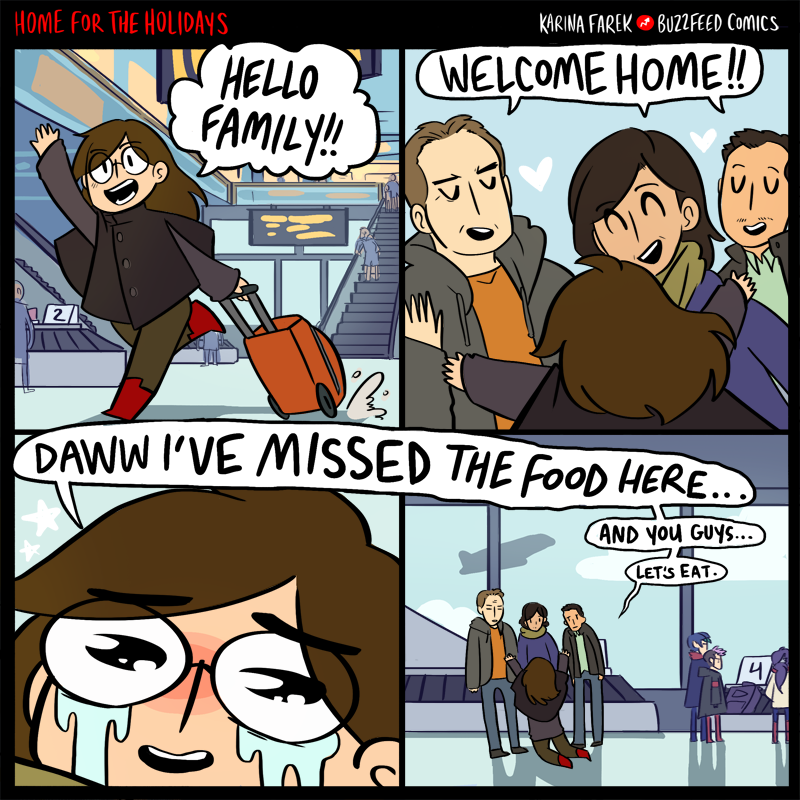 However, this is not necessarily always true. The article says that drinking cold water while eating can actually have negative effects by making your body consume more energy than when not drinking water at all. The hypothesized causation is that cold water takes more time to be warmed inside your stomach than warm water does. Not to mention that this wasted energy that your body uses to heat cold water should be used for digestion, which could cause weight gain. The hypothesized mechanism is: as the body consumes too much energy in heating the cold water, the digestion system becomes less efficient, which will prevent your body from assimilating food and getting rid of waste and thus cause weight gain. Therefore, the article says that it is better to drink warm water while eating than to drink cold water. I think that the conclusion that the article reached is very convincing because the article has provided a mechanism for the process. However, the article did not mention enough detail on how the studies, which the article’s conclusion was based on, were done, nor it mentioned the results of other meta-analysis studies that were done on the hypothesis. This could indicate that the results the article came up with could suffer the File Drawer Problem. Fortunately, I found a study done in 2009 that done an experiment on the effects of cold meals the body digestion system. While it is right that the study does study the exact hypothesis that I mentioned in the post, the study examines the effects of meals of different temperature on the digestion system, which could have similar effects on the body to what cold water does. The study tested 25 participants, most were males, and gave them three different liquid or solid meals, each with a different temperature. The study measured the efficiency of the digestion system for each meal by measuring the gastric emptying each time participants were given a meal. The study used a control trial to test the hypothesis, which is, as we learned in class, a method that can provide reliable results. Furthermore, I think that the study could not use the placebo effect because participants can recognize cold meals from hot meals. In addition, the study did not provide any mechanism for the hypothesis being tested nor it provided detail on the exact results, which could help us learn how significant the difference in the digestion system efficiency when the participants were given meals of extreme temperatures and when they were given meals of the room (warm) temperature. The study has also tested a small number of people, which could increase the risk of getting false positive results or due to chance. Not to mention that the participants in the study were 22 males and 3 females. This could result in inaccurate results, as the digestion system in males’ body might be different than that of females. The study found that when participants were given meals of temperatures more extreme than the body’s typical temperature, their body took more time to digest that meal. Similarly, the hypothesized relationship between cold water and the time the body needs to heat it, suggests that the colder the water is, the more energy the body will need to consumed and time the spent in the process in order to heat it. This correlation, in my view, makes perfect sense to why drinking warm water is better than drinking cold water while eating. However, I still need to be skeptical about the results, so I decided to look for the results of other studies. I found another two studies that also test the same hypothesis and came up with the same reults as the previous study did. One study that was done in 1988 found that gastric emptying in the participants’ bodies was less efficient when the participants were given cold liquids. The study also found the hot food, but not extremely hot, took less time in the digestion system than warm food did. The other study, done in 1998, found that liquid meals that have temperatures that are either colder or warmer than the body’s temperature can cause the body to consume more energy and time to digest them. In addition, I found a study that was done in 1989 the came with a different result than the other studies I mentioned in the post. It found that the temperature of the food people eat has no difference on the digestion system. However, the study results might have a greater chance to be due to chance, because the study has tested many variables such as gastric acid secretion, gastrin release, and gastric emptying, which could cause the study to suffer from the Texas Shooter Problem. Bottom Line: there are not a lot of studies that did experiments on the hypothesis being tested; however, many meta-analysis studies that had tested similar hypotheses provided good evidence for me to believe that it is better for me to drink warm water than cold water while eating. Furthermore, there are many articles that support the hypothesis that drinking warm water while eating is better than drinking cold water, even though they did not provide evidence for experiments, they did provide a convincing mechanism for the hypothesis. 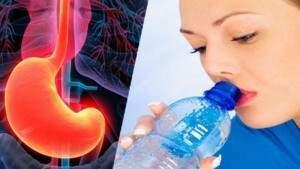 In addition, while it is true that drinking warm water while eating can help you lose weight, drinking cold water has appeared to have less effects on weight loss than the effects that warm water has on your body, such as weight loss, because drinking cold water while eating body causes your body to consume the energy that your body should be using for digestion and therefore, have less energy available to consume for the digestion system. This entry was posted in Uncategorized on November 20, 2016 by Asaad Saleh Salim Al Busaidi. 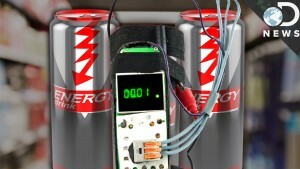 Are Energy Drinks Harmful to Our Body? 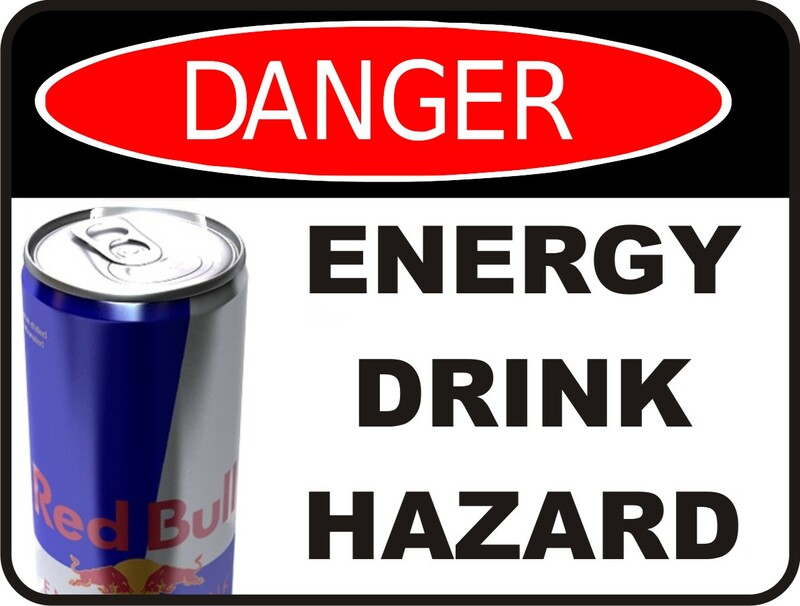 I am sure that some of you have read many posts or articles that show studies that either claim drinking energy drinks are safe or dangerous. 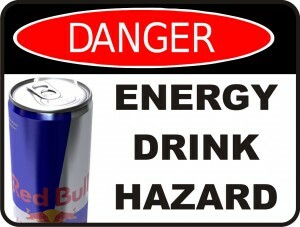 Some studies say that drinking energy drinks is safe if you were exercising or making an effort. I do not consider to myself to be addicted to energy drinks. However, many of my friends are addicted to energy drinks and when I tell that it could be dangerous to their health, they claim that it is just a “normal nutrition’” that is put all together in a bottle. So, I decided to do a research about it to test the claim that energy drinks do no harm to our body. The alternative hypothesis: energy drinks do harm to our body. Hypothesized causation: energy drinks cause health issues. Reverse causation could be that people who suffer from health issues drink a lot of energy drinks. While I was searching in Google, I found a recent study that was published in the Journal of the American Medical Association that says that energy drinks are harmful to our body and could cause serious heart issues. The article that showed the study was well-organized and detailed and has included all results and the way the experiment was done, which means that the study results do not suffer from the File Drawer Problem. The researchers said that they used a commercial energy drink and a placebo drink for the participants as an independent (x) variable and suggested that the response (y) variable is the change in blood pressure, heart rate and mental and physical stress as hard points. They also measured soft point that could be associated with changes in the heart rate such as an increase in the cardiovascular risk. The researchers claim that they conducted a randomized double blind placebo control trial and that all the participants in the study were healthy adults. The study showed that the Caffeine levels had significantly increased when participants drank energy drinks. On the other hand, the Caffeine levels for the participants who drank the placebo drink did not change. Additionally, the researchers did not notice any changes in heart rate on both groups. The researchers had also noticed that the blood pressure has gone up. The research has studied 25 participants who were randomly selected and were all healthy. Not to mention that the study was experimental and the researchers had used a placebo drink, in which they made sure that it will not have any effect on the body by measuring the difference responses on each group when they drank the placebo drink. That being said, many third variable could be ruled out such as the difference in the effects that could result from differences in ages, or even health issues that could, for example, affect heart rate and the amount of energy drink one drinks. In addition, I think that the study was well-conducted and could thus rule out reverse causation. However, as we learned in class, we need to be skeptical no matter how well the study is conducted or how strong the evidence is the results could still be due to chance. Not to mention that the sample size in the study was too small and that there was only one energy drink tested in the study, which could increase the probability that the study results are false positive. Furthermore, the study might suffer from the Texas Shooter Problem because of the many hard and soft points measured in the study such as Physical stress and mental stress/ Not only does the study measure many things, it also uses method that may have a big chance of resulting in inaccurate results. For example, the study measures mental stress by asking participants to do mathematical tasks in a certain period of time. This could cause a variation in the results because of mathematical skills vary from one to another, especially, if the participants varied between educated and uneducated. An educated person, especially one whose major involves mathematics, might do, for example, three mathematical tasks in one minute, while an uneducated person might do them in three minutes. Moreover, the alpha value chosen in the study= 0.05, the p-value in the study’s results=0.003. And because the difference between alpha and the p-value is significant and the p-value is smaller than alpha, we will reject the null hypothesis and say that energy drinks are harmful to our body. However, the conclusion is based on only one study, so I still need to do further research. Overall, the study was well-conducted and has ruled out any possible misinterpretations for the study’s results that could result from observational studies or inaccurate results from experiments that are poorly conducted. In addition, the probability that the study results were type 1 error (false positive) was relatively small and thus can be trusted. I think that the study results are convincing. Also, I found two meta-analysis studies (study1, study2 ) that studied more than one energy drink, such as Red Bull and Rockstar and also well-done experiments, and used big sample sizes and have showed that drinking energy drinks can cause an increase in heart rate and caffeine in your body. Bottom Line: many meta-analysis studies that were done on the danger of energy drinks say that energy drinks are harmful to our body, as they significantly increase levels of caffeine in the body, which can result in serious health. According to an article in Mayo Clinic, having high amounts of caffeine in your body can cause health issues like insomnia, nervousness, restlessness, and stomach upset. I am convinced that energy drinks are harmful to my body and I would personally try to drink less coffee and energy drinks in my every-day life; however, because the study did not show any serious heart diseases that could results from drinking a small amount of energy drinks, I would still drink energy drink when I am doing an exam in order to focus and do well on the exam, as I feel that energy drinks and coffee help me pay better attention to the task I am doing than when I do not drink them. This entry was posted in Uncategorized on November 13, 2016 by Asaad Saleh Salim Al Busaidi. Is it safe to put your phone near your head when you are sleeping? Asaad — these posts are good; I’d rank them somewhere in a B/B+. For a higher grade, take a look at examples of good practice — I have links to lots here. Also take a look at this work — among the best I’ve ever had. Have a really thorough read of the rubric (end syllabus) with those pieces of work in mind. The issue is that you are choosing great topics but only getting into them in my view to a good/very good standard. See especially the Content Contribution part of the rubric if you want an A. Don’t just tell the story, think critically about it. For example, in the predators post, what did you think of the meta-analysis? Convincing? What would make it better? Mobiles phones have been a big problem for many of us. They take a lot of our time and could affect our vision ability. In addition, many believe that the radiation that mobile phones emit can cause serious health issues to people who always keep their phone in their pockets or even close to them when they sleep. 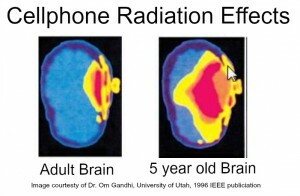 However, phones emitting dangerous radiations is still debatable, as Andrew mentioned in class. So, I wanted to do a researcher about it to know if this radiation can really affect me, as I always carry my phone in my pocket and put it near my head when I sleep to wake me up in the morning. The Null Hypothesis is that a mobile phone radiation does not cause health issues. According to an article in Mercola.com, a natural health website, there was a case revealed in the May issue of the Environmental Health Trust’s newsletter for a woman who got breast cancer and thinks that her phone caused that. The results of the study of the case suggested that putting a phone in your pocket or closer than 6 inches to your body can cause serious damage to your body such as cancer. The case was for an Asian woman who is living in the United States. cancer. She and her doctor suggested that her cell phone caused the breast cancer because she used to put her cell phone in her bra. However, her doctor could not prove that the reason for her cancer was the cell phone even though the doctor could not find any other possible causes for her cancer. In addition, two specialists in cancer Robert Nagourney and John West, conducted a research on the case and suggested that the phone’s radiation was most likely the cause for her breast cancer because they noticed that the cancerous cells distribution was similar to the shape of her phone. 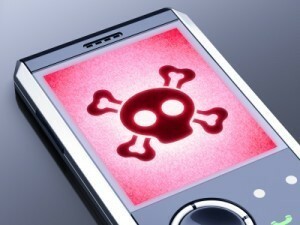 However, we still cannot conclude that phone’s radiations can cause either cancer or any other diseases from this case. This is because it is just an anecdote and the study has neither studied many subjects nor stated all the results. Furthermore, the researchers did not provide any mechanism for why cell phone radiation can cause breast cancer. However, I think that this anecdote could really serve as an additional evidence for other studies results that show that there is correlation between breast cancer and exposure to phone radiation, as we learned in class, anecdotes can be powerful.
. I think that this study was well-done in many aspects such as the number of samples studied. However, the study was observational and in my view did not eliminate third variables such as the brand of the phones children or their mothers used, time spent using phones, and living conditions, as some of them may have lived in areas where the chance of getting exposed to dangerous radiations by factories is high. In addition, behavioral difficulties can happen because of wide range of factors such as the way children were raised or the school environment, which is the most frequent cause for behavioral difficulties. Also, there is high possibility that the study suffers from the Texas Shooter Problem because it is observational and because of the many factors measured in the study that may cause the researchers to conclude false causation relationships due to the big number of correlations found in the study. Finally, the results of the study show strong evidence, despite the fact that the study is observational, that putting a phone near you can result in negative outcomes to either you or your children, as the study has studies a huge number of mothers and children and has also ruled out reverse causation because it measured the effects over a long period of time. In addition, while it is better to do experimental studies instead of observational studies, this concept cannot be applied here because putting a phone near a child’s head or even giving a child a phone is unethical and cannot be applied as a way of testing this hypothesis. What I would have done differently in the study is to ask all the participants in the study about their living conditions, the county where they live in to know if there were any factories near them that could have cause any radiation emissions, which will help me reduce any variations or correlations with other third variables that could occur in the study. This picture clearly shows that the effects of putting your cell-phone near your head can very among different age ranges, which also supports my claim that the results of the study on children could have different results when studying adults. So, again, is it safe to put your phone in your pocket or near your head? According to Apple website, the Specific Absorption Rate, the rate at which the body absorbs Radiofrequency energy, can be reduced by trying not to hold your phone when you are making a call, i.e. put the call on speaker or using a headphone. It also says that you should carry your iPhone at least 5mm away from your body to reduce the effect of the Radiofrequency energy on your body. However, Apple did not indicate or suggest that the Radiofrequency energy either is safe or harmful. Bottom line: studies on the danger of cell phones radiation show that putting the cell phone close to one’s body can be dangerous and could cause cancer; however, the evidence is not strong. Also, most studies had only observed children, which, as a result, could produce different results than if these studies were measuring adults, as it is known that adults’ bones and skin are different than those of children Even though the evidence is not strong enough, one should consider putting his/her phone away when not using it. As for myself, I decided to but an electronic alarm to wake me up in the morning as a better substitute for phones, which will reduce the chances of getting exposed to my phone’s radiation and will also work as a more effective way of waking my up for classes. This entry was posted in Uncategorized on November 6, 2016 by Asaad Saleh Salim Al Busaidi. Do predators eat each other? Do predators eat each other? Do they only eat herbivores? These questions have been in my mind for a while. 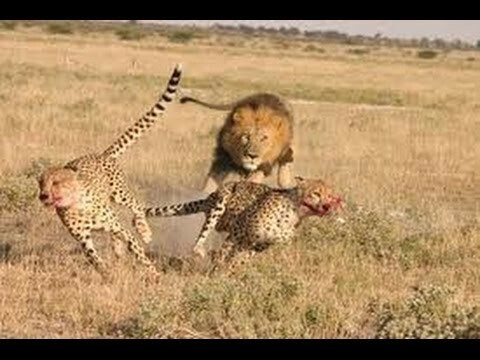 Whenever we hear or read the word “lions” we immediately connect it to savagery toward people or fierceness and sometimes to Penn State which is, of course, because of Penn State Logo. 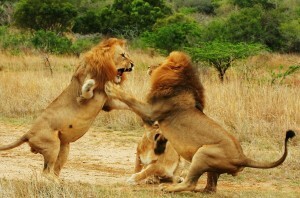 However, writing about Penn State’s connection with Lions is not what made me write this post. 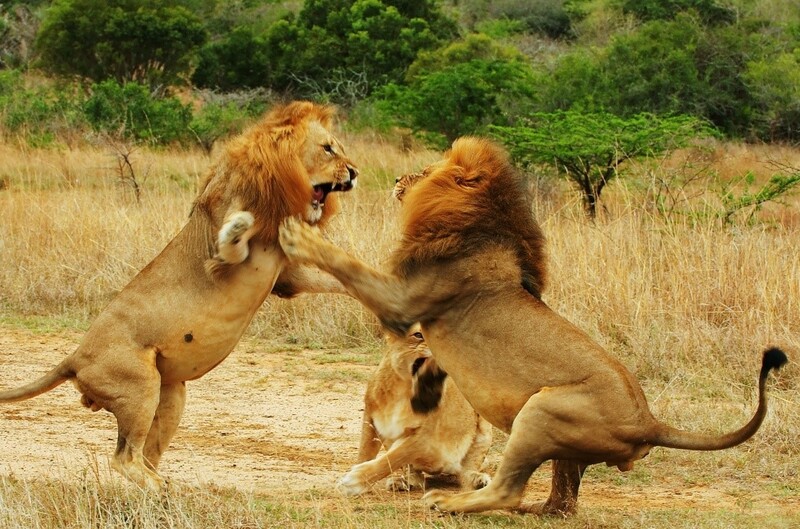 What brought lions, predators in general, to my attention is that we often hear stories or watch videos that are only about predators attacking or predating on humans or herbivores. So I asked myself if predators do really eat other predators and if yes, why is it not common and what are the reasons we do not hear about cases where predators eat each other, and finally whether there are any correlations or causation relationships. So I decided to write about this topic and do some research on the internet. The null hypothesis being tested: Predators do not predate on other predators. The Alternative hypothesis being tested: Predators do predate on other predators. According to a post written by Darren Naish, cases where predators predate upon other have been noticed by biologists and ecologists many times. This phenomenon was called intraguild predation by Polis et al (1989). An observational study on intraguild predation was conducted by Palomares & Caro (1999). They recorded 27 cases that were reported as intraguild predation cases and studied them. They noticed that the most common case among the other cases was the one in which adults predated on babies of the same species. However, that the study did not include an analysis of why predators would do that nor did it mention any information about the animals themselves, the atmosphere (i.e. if they are in a typical condition), or whether or notthey are starving at that time and had no other option but to predate on the younger one, as it known and natural for a starving animal to eat another animal from the same species in order to survive. In addition, I think that the number of cases recorded was very small. Furthermore, because the study did not say a lot about the what was measured, I cannot say if it suffers from the Texas Shooter Problem, however, the study got published, therefore the results do not suffer from the File Drawer Problem. In my opinion, I think that the findings of the study did not help me make a decision on whether or not I should reject the null hypothesis. So I decided to do more research about this matter. I found another article in an academic website called Wiley Online Library written by FABRIZIO SERGIO and FERNANDO HIRALDO, two scientists who decided to do a meta- analysis study on previous studies that focused on intraguild predation. The data they found was “for 39 experimental studies on 63 populations belonging to 11 killer species and 15 victim species.” After analyzing these studies, they found out that the results were almost consistent with the results of the study done by Palomares & Caro even. The study results suggested that intraguild predation is very common in their natural habitants whenever external factors that might make predators predate on other predators are present, such as predation pressure which includes the habitant size in the experiment, the risk of predating the prey, and the number of predators and non-predators’ species in the experiment. Individuals of the prey species responded to predation pressure through direct spatial avoidance, risk-sensitive habitat. The study also suggests that there is a correlation between the number of killer (predators) and victim (herbivores) species in the provided space or habitant in an experiment. They noticed that the higher the number of herbivories in the experiment, the lower the number of intraguild predation cases recorded and vice versa. While the study results can be due to chance, I think that the study was well- conducted and that it is highly unlikely that these study results are false negative, in other words, were due to chance or due to another confounding variable such as an odd biological variable in the animals being tested in the study that made them eat each other and that predators do not in fact predate on other predators, as the study is a controlled trial experiment, which is, as we learned in class, more reliable than an observational study. Also, not only did the researchers study use a big number of animals in the experiments, but they also done the experiments in different locations, which, as Andrew mentioned in class can eliminate any third variables that could appear in small or observational studies. And of course the study does not suffer the File Drawer Problem because it got published nor the Texas Shooter Problem, because the study is experimental and not observational. I also think that the study should have focused on only one species so that they can more accurate and precise results, as it is known that an animal behavior significantly differs from one to another. In addition, studying one species can help them examine the effects that could results from the intraguild predation phenomenon among animals in that species. Other than this change in the study, I think that everything else was well-done. Finally, the meta-analysis study results are consistent with the alternative hypothesis and show that predators do hunt each other; however, this phenomenon often happens because of predation pressure such as lack of food or the population size in their habitat and seldom happens in identical conditions, where the number of herbivories is significantly higher than the number of predators in a certain habitant. Furthermore, many well conducted meta-analysis studies were done by researchers that also showed consistency with the alternative hypothesis such as in an article named as the biological control: theory and practice, which supported the hypothesis and even provided evidence of why it happens and how it is actually a good thing!! This entry was posted in Uncategorized on October 29, 2016 by Asaad Saleh Salim Al Busaidi. Is business acquired or learned? I am a student who study’s business at the Smeal College of Business. And me being surrounded by friends who almost all of them are engineers, I had to defend my major which is finance and clarify to them what is business and how it is compared to other fields such as science and engineering. All of my friends strongly believe that business is skill that can be acquired and not a whole different field than engineering. 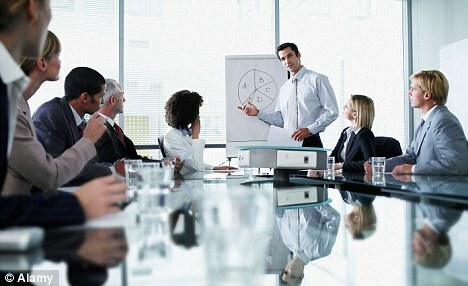 From my perspective, business needs to be studied to be able to master it, especially professional majors such as Finance and Accounting, as they involve a lot of theories that can explain the market behavior and can help businessmen make the right decisions about either their business or for the firms where they work. However, while it is right that business needs to be studied, one will need to be skills at management, decision-making, and communication skills. For example, three students in a business major can study the same courses, but only one of them may be more successful in that career. There are also some parts of business that do not need to be deeply studied such as managing a small business, selling goods, and owning a shop. 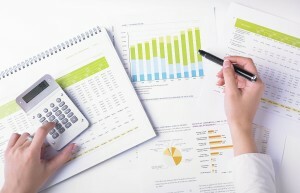 These can be learned by asking other small businesses owners about their experience. The kind of business that need to be deeply studied to be able to master it is for example a major in finance. And by the way, business majors also involve a lot of hard-working to succeed. To elaborate more, a students majored in finance needs to understand the behavior of markets very well and analyze any given statistics about the prices of a certain good or even the out-flow and in-flow of money in a company or a government. Another example that demonstrates the importance of business is the fact that business managers are the ones that are usually directly involved in making important decisions that can greatly affect the future of the firm. Here is a link for those of you who are interested to start your own business. This entry was posted in Uncategorized on September 10, 2016 by Asaad Saleh Salim Al Busaidi. Do music and exercises make us feel psychologically better? 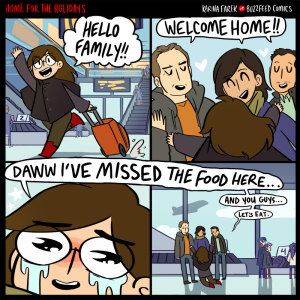 What brought psychology to my attention was when I read a comment for a student last year about how his brother’s autism got better when he ate gluten-free food. I did not imagine that changing an eating habit can help someone who has psychological disorder get better. I did not really have much knowledge about psychological disorders. So I did some research about how the is body directly affected by psychological disorders and what would the solution or the medicine be. I also discovered that even doing out-door activities such as running or walking and listening to music can help make one psychologically feel better even if he/she did not have any mental diseases or disorders. Doing out-door activities can greatly affect someone psychologically. According to Huffington Post, March 27, 2013 By Sophia Breene, walking can help manage mental stress. It increases the concentration of many chemicals in your body that are related to your mental health such as nor-epinephrine. Not to mention that people who work out have a healthy and fit body. Listening to music can also help us feel better. Many people listen to music when they are stressed, sad, or even happy. They listen to music as an inspiration or a way of relaxing. So how is this related to your mental stability? 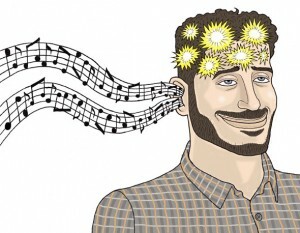 According to an article in a website called Psychologies, music can help control the nervous system in our body. The nervous system is responsible for controlling our feelings and emotions. And it helps make us mentally stable and of course happy. Music can also reduce other serious issues in our body such as heart attacks. Should you brush your teeth and comb you hear at the same time or do them separately? What about using your phone while focusing on what the teacher says? Is it possible? Is there any danger involved in doing this? If you happen to think that you are a multitasker, then you will certainly want to read this post. 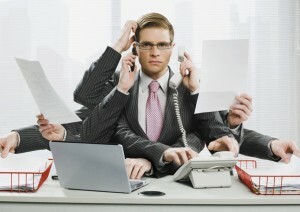 Multitasking is doing two tasks or more at the same time. Many people think that they can multitask. However, doing two tasks or more is almost impossible for your brain to process or do at the same time. It is common among a lot of people, especially college students to try to finish more than one task at the same time. I as a college students used to do tasks at the same time such using my phone while watching Television without caring about the cognitive damage that multitasking can do to my brain. This questions and concerns has come to my mind when I read about the extra credits on the syllabus where the student can handle his/her phone to the TAs in order to reduce multitasking in the class. This made me realize that multitasking may have some effects on me. 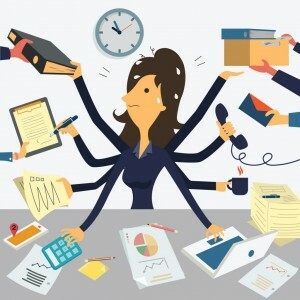 So, I did some research about it, as I strongly believe that time management is very important and that multi-tasking can help finish many tasks at the same time but this was not the same idea after I researched the danger of multitasking. So I did some research and this is what I found. According to an article written by Larry Kim, founder of CTO, WordStream, multitasking is not what people often think it is. Your brain is actually switching from doing one task to doing another. 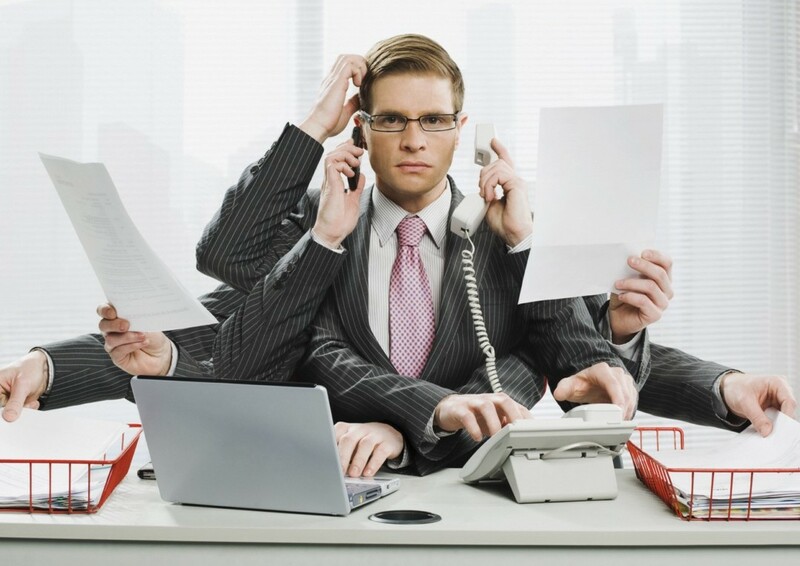 However, a small number of people who can actually multitask at the same time, but are not able to do both tasks efficiently. He also says that switching from a task to another very rapidly can also result in serious cognitive damage by forcing your brain to produce more cortisol which can result in you being stressed more often and making your brain feel exhausted. Not to mention that many studies have suggested that multitasking can also cause permanent problems to your brain. So please stop multitasking. It is a bad habit not a skill!! Hello everyone! My name is Asaad Al-Busaidi. I am from a country in the Middle East called Oman. I am in the Smeal College of Business. One reason for doing this course is because my intended major is Finance, which is also related to science in some ways. For example, a financial Manager in a petroleum development company needs to at least have a broad knowledge in petrol to make better decisions about many financial aspects such as investments. In addition to the relation between Finance and science, I became interested in Genetics since I was at high school because of my experience in aviculture. Not only did I love Genetics but I also tried to apply it in my experience in aviculture, as I used to study Genetics, mutation particularly, to help me have a better understanding of the world of birds and their colors and to breed birds with specific desirable colors. Also, I love science because it gives explanations for many things or tasks that take part in our day-to-day life. And thus my interest in science and my previous experience made me choose to do this FANTASTIC course, as it will also help me get a better understanding in what was is going around me. The reason I did not want to be science major was because of my high school experience in physics and chemistry which was not really that fun. Even though I got good grade on math, I received very low grades on physics. Also, I believe that I have a much bigger interest in Finance and that I would do well in the world of business. Finally, I would like to share with you this link that is for this amazing website that covers many topics about how stuff works. If you are the type of person who always wonder about how stuff works, then open this link and believe me you will learn a lot about how many common things that we do in our life and know nothing about they work. It includes topics such as how oil recycling works and even has videos that show how they work in a more detailed way. This entry was posted in Uncategorized on August 27, 2016 by Asaad Saleh Salim Al Busaidi.